The Gothic Design French Limestone Surrounds are a highly versatile door surrounds that are carefully and masterfully crafted from the finest French limestone. The door surrounds’ natural stone look brings sobriety and character in your custom built home. The product is crafted from a dense, hardy French limestone that is resistant to mildew and rot. The stone used ensures that you get a beautiful long lasting door surround. Old age character is evidently richly engrained in these surrounds. 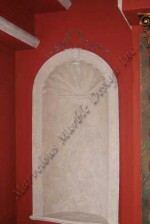 These door surrounds are great for your luxurious home in Long Beach, California. Designed in Gothic architecture, the surrounds feature a pointed arch which is one of the defining characteristic of gothic architecture. The point arch on the surround is both practical and decorative. The arch effectively distributes the weight of the ceiling to provide better support to your home than simple pillars. When you picture purity, the color white comes to mind. 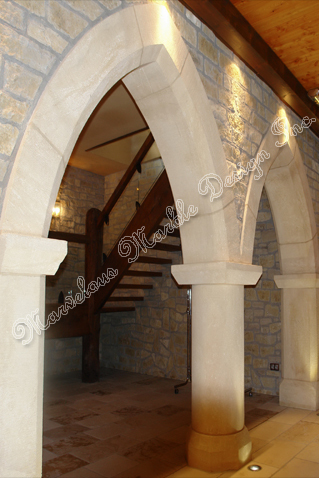 With these Gothic Design French Limestone Surrounds in white natural stone you can be able to create a very relaxing haven in your custom built home. For best results you can use a range of white shades, have them layered in the rooms. For a more crisp look use the white with other colors. Pick up these Gothic Design French Limestone Surrounds and instantly add curb appeal into your custom built luxury home. The surrounds’ luxurious design and unique shape add an element of prestige. However, because the surrounds are indoors, they door not feature one of the most notable characteristics of Gothic architecture – the gargoyles. The surrounds emphasize more on providing your home with airy interiors and transforming your custom built home into a more pleasant and majestic environment. These surrounds combine beauty and aesthetic value elegantly. They are not just functional. Install these and drive your custom built home’s resale value instantly. 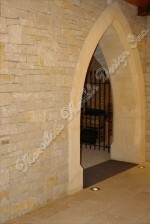 These Gothic Design French Limestone door surrounds are simply marvelous. They provide a refreshing sight in their heavenly white tones. The surrounds come in an overall size for each opening of (W X H) 84” X 108”. But then that is not all, custom sizes can also be created including wider door openings to give you a product that is tailored just for your custom built home. 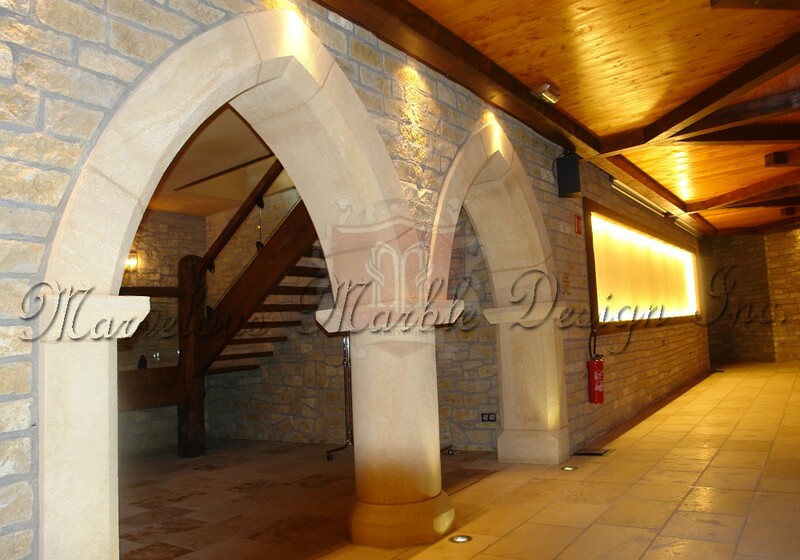 Alternative natural stones in different colors and shapes can also be provided for your project. To learn more about this simple French limestone door surround, please call us at 1-888-272-0630. Overall Size for each opening: (W X H) 84"X108"